Laytonsville is a bedroom community to areas of Montgomery County, like Rockville and Gaithersburg, as well as Howard County. A half-hour drive from many major cities, 25 miles from the White House. Zoning in Laytonsville includes many large lots. The Town of Laytonsville has a quaint historic town center, an elementary school, and local shops and eateries. See more on the Town of Laytonsville website. 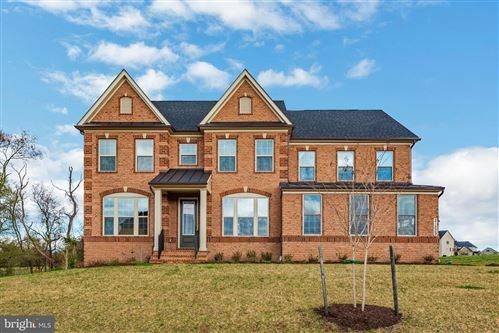 Homes for Sale in Laytonsville Md. Laytonsville is a town in Montgomery County, Maryland, United States. The population was 277 at the 2000 census. Laytonsville was originally known as Cracklintown. This name originated from the popular cracklin bread, which was baked in the locale. This recipe, essentially a bacon corn bread, also lent the entire area the name of Cracklin District. Laytonsville was incorporated in 1892. As of the censusof 2000, there were 277 people, 103 households, and 77 families residing in the town. The population density was 282.4 people per square mile (109.1/km²). There were 107 housing units at an average density of 109.1 per square mile (42.2/km²). There were 103 households out of which 39.8% had children under the age of 18 living with them, 64.1% were married couples living together, 5.8% had a female householder with no husband present, and 25.2% were non-families. 22.3% of all households were made up of individuals and 4.9% had someone living alone who was 65 years of age or older. The average household size was 2.69 and the average family size was 3.17. In the town the population was spread out with 26.4% under the age of 18, 7.2% from 18 to 24, 27.4% from 25 to 44, 28.9% from 45 to 64, and 10.1% who were 65 years of age or older. The median age was 39 years. For every 100 females there were 93.7 males. For every 100 females age 18 and over, there were 98.1 males. Homes for sale in Laytonsville Md are usually less than 25. The median household income was $104,384 in 2009. Males had a median income of $57,500 versus $38,750 for females. The per capita income for the town was $30,681. None of the families and 0.7% of the population were living below the poverty line.